On Saturday I celebrated my 61st birthday—one I really never expected to see—by attending my dear friend’s youngest son’s wedding. The day was rainy and gloomy but the day was filled with joy as family and friends gathered at a small church in Stonewall. The bride was radiantly beautiful in a beaded gown and the groom added his own special humor to the event. The reception was held at a dance hall in Albert and although a bit chilly was great fun. I never knew that group karaoke was now the ‘in thing’. They did play Beer Barrel Polka, probably the only number I knew and we all admired the bride’s grandfather (86) who danced several numbers with a big grin on his face. Apparently he is also a well-known and famous polka dancer in Ohio. On Sunday we celebrated my oldest grandson’s first birthday at what can only be described as a huge indoor playground. There were slides—I had to test them out as did the godmother and my two sons with their sons in their laps, a trainset(Glen gravitated to it), a Punch and Judy stage setting with lots of puppets, a huge bowling set, a play kitchen with lots of fruits and vegetables of the non-edible variety which were immediately dumped out on the floor and the pots and pot lids were clearly ‘music makers’, and a huge sandbox with purple sand that was on everyone’s socks by the end of the party. I asked my son where all the babies came from (there were about a dozen or so all under the age of 3) and he patiently explained the stork theory to me—much to my disappointment. My mother told me the babies all came in the doctor’s bag while Glen thought it was a cabbage patch. Hmm—the things you learn from your children! 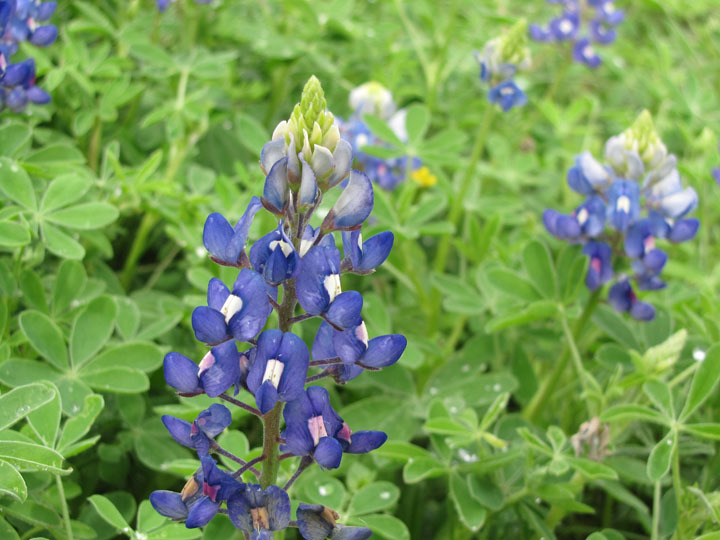 Bluebonnets were just starting to bloom along the roadsides due to the plentiful rain we have had this spring. It is frustrating to drive or work outside with nearly daily rain but the reservoirs are filling up and the roadsides are green instead of brown. My yard is like walking on a giant sodden sponge but that’s okay—the rain has been slow and steady with plenty of time to soak in. And of course, the mosquitos are loving it. Thank you, dear friend, for driving so far to attend the wedding. It was fun and I don’t know where my children got their talent for dancing? It is amazing to watch them? I stole your picture of your bluebonnet and put it on my backdrop. Love you! I would say we enjoyed the drive there–but you know it was in sloshy rain and through construction. 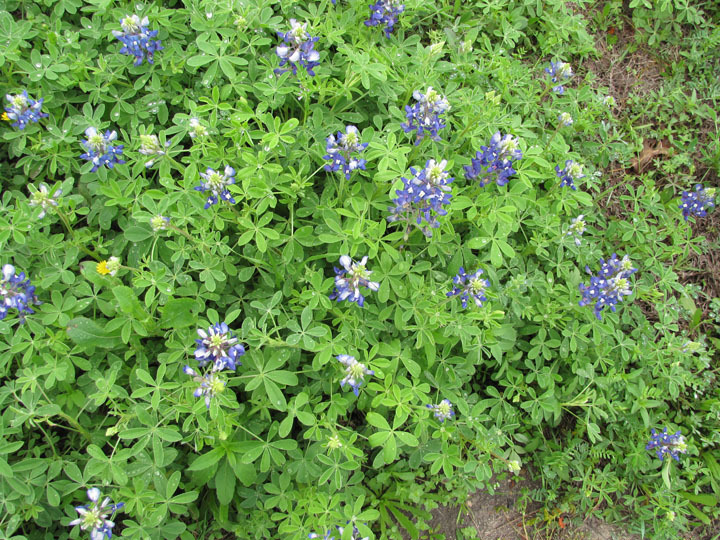 The drive back was quite nice–bluebonnets just showing in many places. But truthfully, I feel very honored to be part of your family.